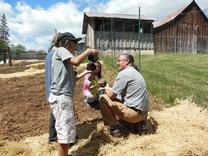 Master Gardener Greg Taylor helping 4th Graders plant pumpkins in the Three Sisters Garden at the Young Family Ranch. Irl Everest AKA "Mr. Tomato" provides information regarding planting schedules at the "Planning Your Vegetable Garden" workshop. 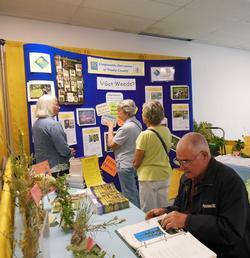 Master Gardeners helping residents to identify weeds and suggest management strategies.